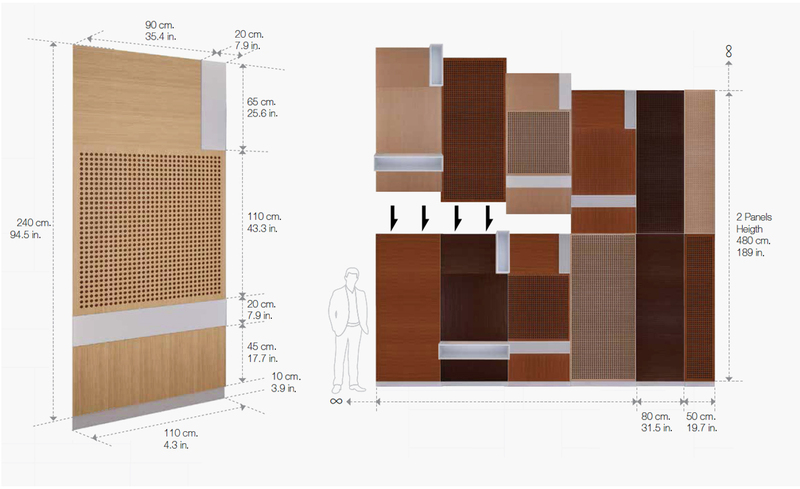 These panels have 3 types: Flat panels, flat panels with lighting and panels with box shelves. 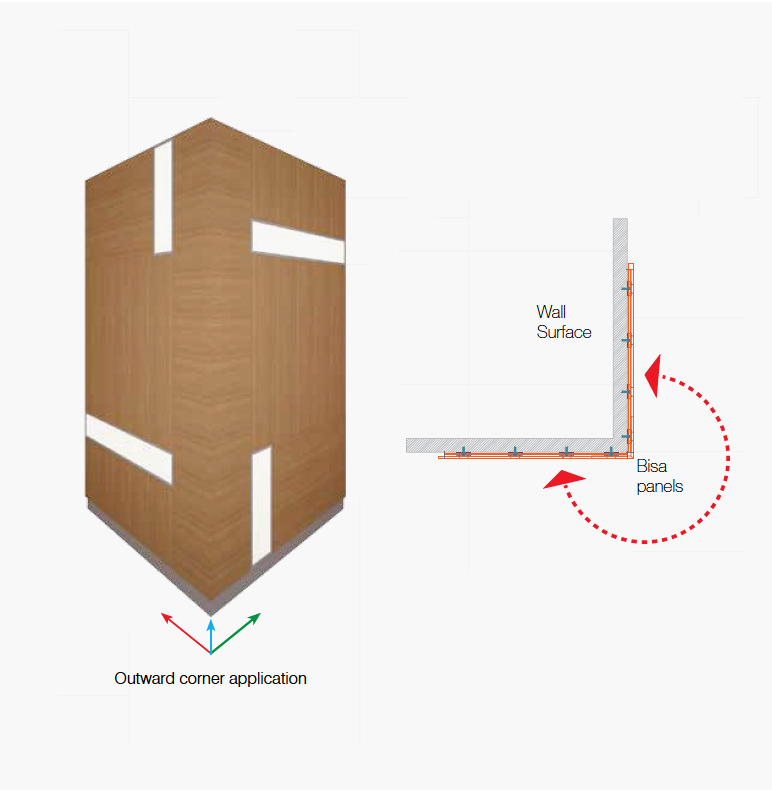 The height of the panel is 2400 mm and the total height is planned as 2500 mm together with the 100 mm baseboard. 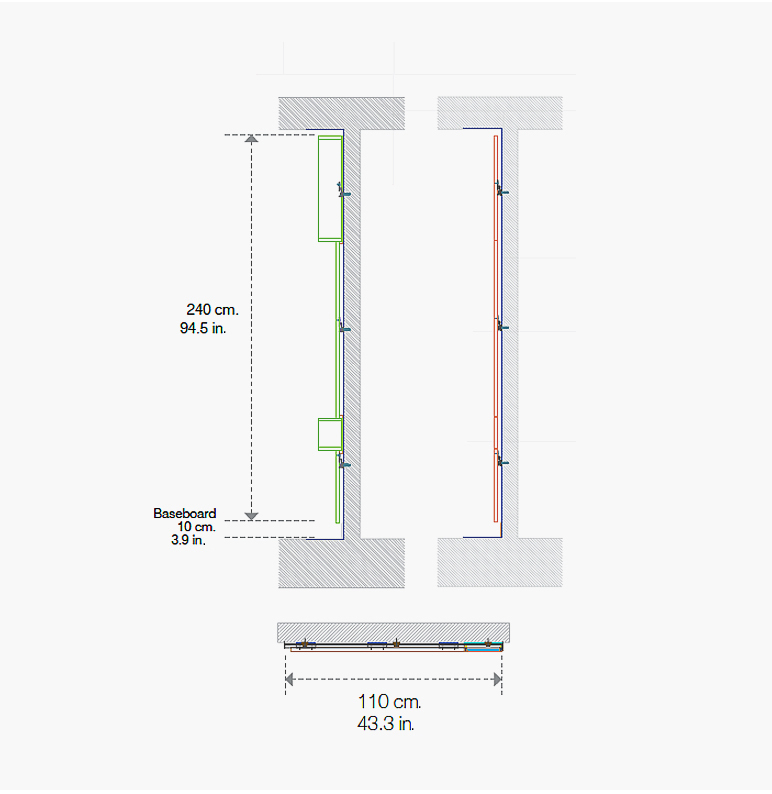 The 100 mm or 250 mm baseboards can be shortened if necessary and can be used on the top or bottom of the panels to complete the assembly on walls of different heights. These panels can be assembled side-by-side, one on top of the other or upside-down. 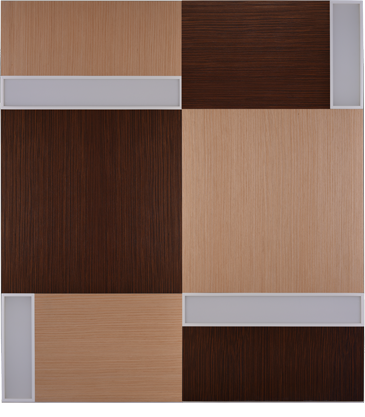 Various combinations can be created with different color and material options. 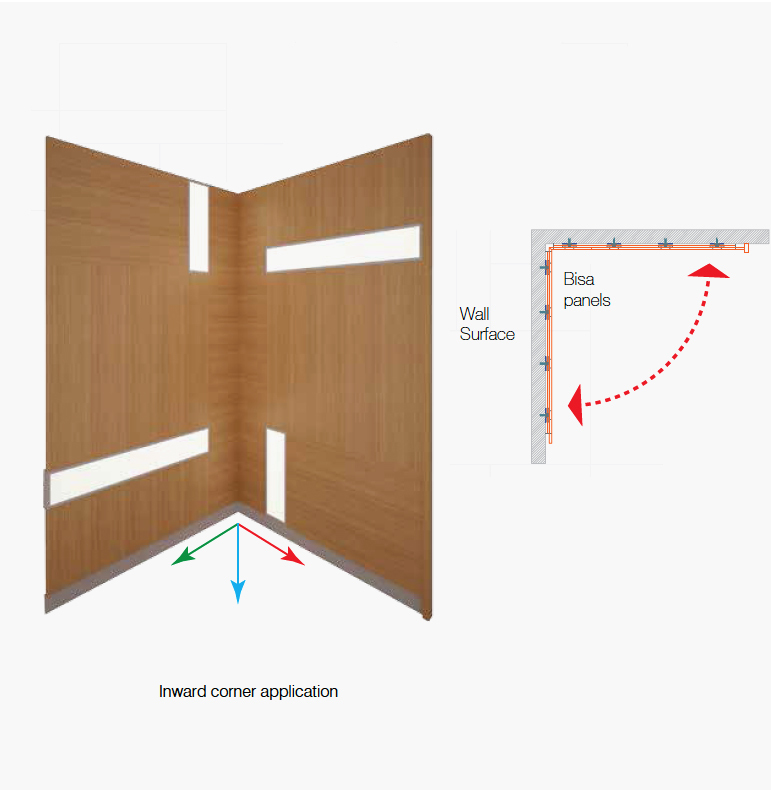 In addition, perforated surfaces with 2 alternative diameters that have sound absorption haracteristics are also available. 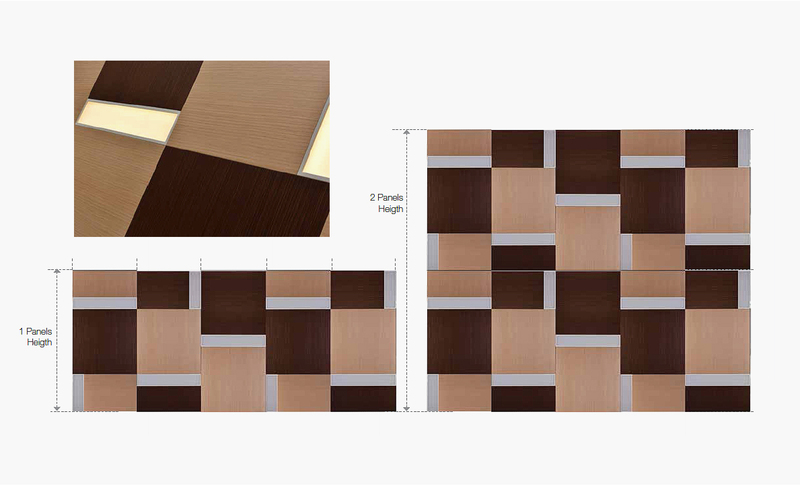 Oak, walnut, teak, lacquer, fabric and their combinations are the current standard material choices. 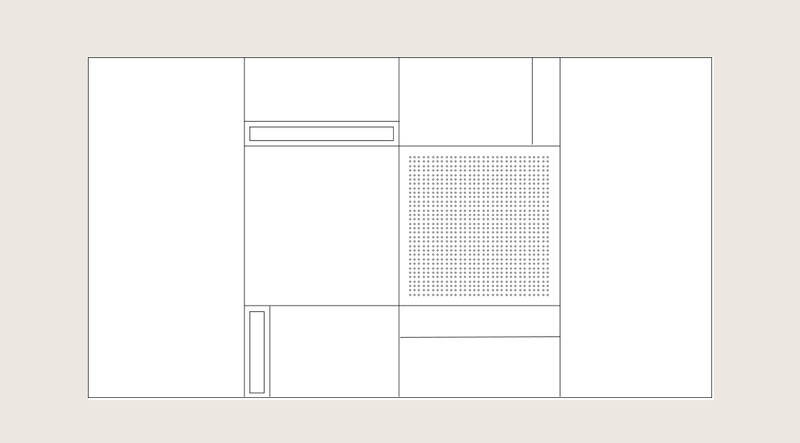 BİSA Module provides different absorption characteristics for its alternative perforation ratios. 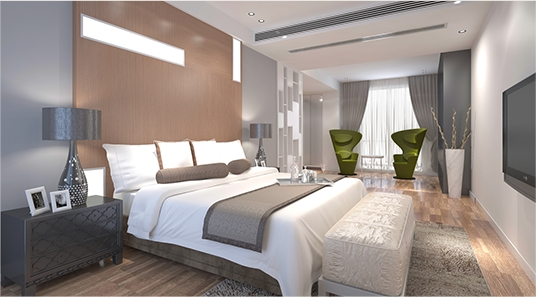 T1 can be used where absorption is necessary on wall surfaces and to provide optimum reverberation desired for a room. 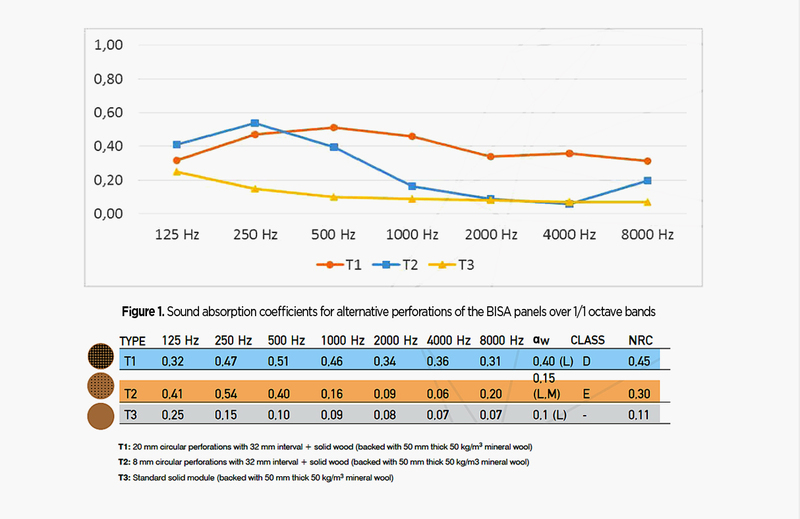 T2 can be used where medium absorption is demanded for low frequency range, especially suited for electroacoustic sound reinforcement with music material of dominant low-frequency energy content in such rooms.